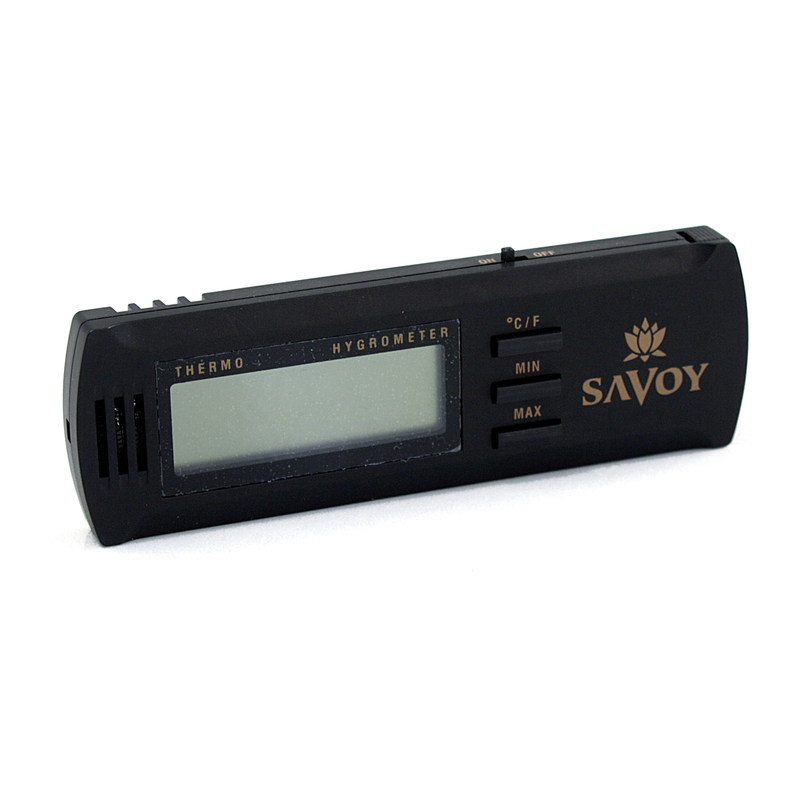 Read the temperature of your humidifier using this digital hygrometer from Savoy. With a black exterior, this rectangular hygrometer can be placed discreetly with your humidifier. You can mount it inside your humidor with the two velcro strips on the back. It features both Fahrenheit or Celsius settings for your temperature read out as well as options for your maximum and minimum humidity ranges.